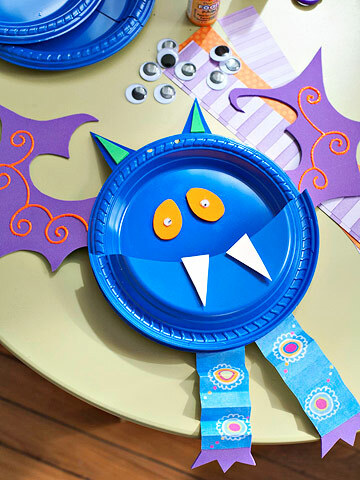 The Tuesday 12: 12 Spooktastic Halloween Crafts Your Students Will Love! - Teaching Rocks! 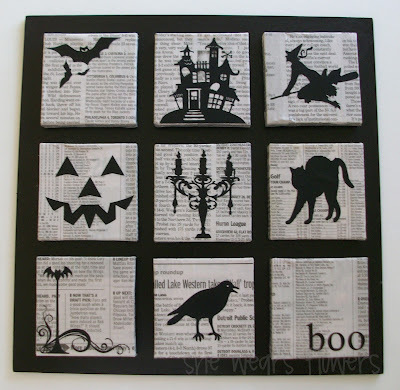 The Tuesday 12: 12 Spooktastic Halloween Crafts Your Students Will Love! In this week’s edition of The Tuesday 12, we’re looking at Halloween activities that your students will love! It may seem a bit early for Halloween, but if you’re anything like me, you’ll want to plan ahead and get everything ready to create a spooky and cool classroom! Click on each image to be brought to the original source (many of these sites have great tutorials!). 1. “Name” Skeletons…I love the personalized touch! 2. Characters made from toilet paper or paper towel rolls…I love how this is an upcycled craft activity! Just use any leftover materials that you have handy! 3. Colourful bats! These bats are so cute and the supplies are probably already in your classroom! 4. Painted paper rolls…another upcycled craft! 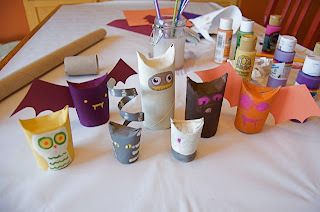 Instead of using felt, fold and paint toilet paper and paper towel rolls to create these cute characters. 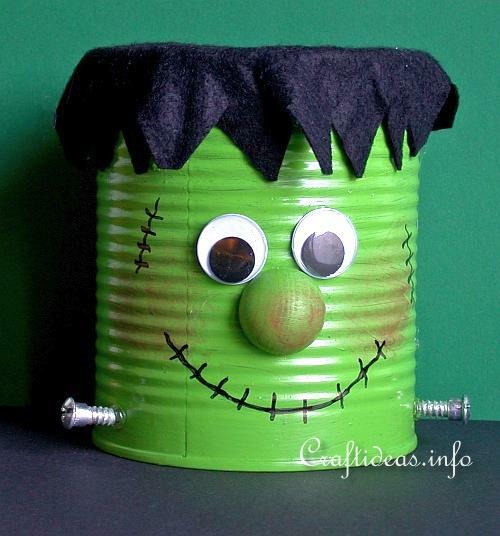 This could also be a great way to make characters for reader’s theatre or puppet shows. 5. Beautiful pumpkins! 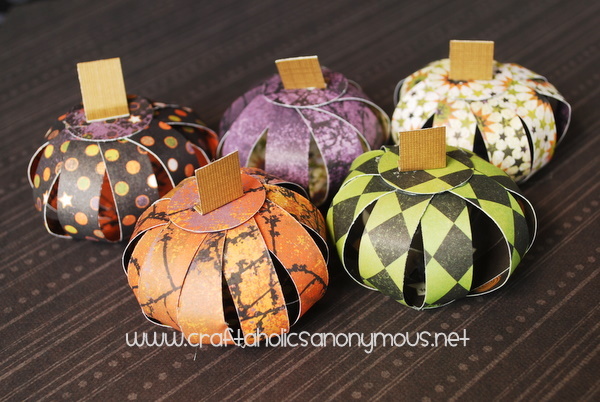 Can you believe these pumpkins are just strips of patterned paper? So simple, yet so creative! 6. A great collaborative project for the class! I can see students each taking on a different scene from a Halloween story or poem! They look stunning together! 8. Craft stick mummies! So cute! 11. Glass jar Jack O’Lanterns! Another great upcycled craft! Instead of cutting open a messy pumpkin, students use tissue paper, glue, construction paper, and paint to make their very own Jack O’Lantern! 12. And, of course, some hand and foot print crafts for the little ones! I didn’t realize how many of these crafts recycle and reuse materials! An easy way to remind students to be more environmentally conscious when making crafts! Don’t forget to visit next week for another edition of The Tuesday 12!